Are Utilities Ready for Tendril’s Latest Demand Management Platform? A new offering for continuous commissioning may only appeal to the most cutting-edge utilities. Electric utilities are catching up to their peers in other sectors and finally getting serious about customer-centric approaches to business. Or, at least, some utilities are trying something different. Tendril has been piloting a new cloud-based platform, called Orchestrated Energy, that mixes an engagement tool with a demand response offering designed to help utilities get closer to their customers. "Knowing you have to do something and knowing what to do are very different," said Adrian Tuck, CEO of Tendril. The Boulder-based startup is calling Orchestrated Energy a “continuous demand management” solution that is meant to do more than just shave a few hours of load per year. It is for utilities that want to build new energy services for customers, and hopefully recognize new revenue streams in the process. Tendril has survived many iterations (partly caused by too much piloting with utilities early on). Nearly five years ago, Tendril was thinking about how to bring together solar, electric-vehicle charging, smart thermostats and utility services. Utilities and customers, it turns out, weren’t ready for it. Fast forward to today, and it's possible customers and utilities still aren't ready for it. But Tendril is betting there are just enough utilities willing to take a leap and provide more comprehensive energy services to their customers. The new platform focuses on providing outcomes that customers want now -- like saving money on their heating bill beyond what the smart thermostat would save on its own, or managing EV charging to save money. The goal of the platform is to turn utilities into trusted energy advisors. Unlike five years ago, there is actually more stuff on the edge of the grid to manage. There are millions of smart thermostats already in homes, and rooftop solar PV has become cost-competitive in many parts of the U.S. However, few utilities are even considering residential demand as a flexible resource all year long. Rate structures that encourage technologies like EVs and solar-plus-storage to respond to utility price signals will be key to Tendril's success. But, as was the case five years ago, time-of-use rates have not been widely adopted. Even in California, which is largely seen as the leader in all things grid edge, time-of-use rates are not the norm. It can take years for dynamic rates to come to fruition given the slow nature of the regulatory process. Tuck said even with the uptake of solar and smart thermostats, it still isn’t an easy sell to utilities. The benefit of the platform today is using it for demand response and energy efficiency. Tendril is piloting with a handful of utilities and expects to be in tens of thousands of homes, with a goal of hundreds of thousands of homes in 2018. As just a demand response product, it is late to the game. It competes with other device-agnostic platforms such as those from Earth Networks or EnergyHub, as well as traditional players such as Comverge and closed platforms such as Nest. 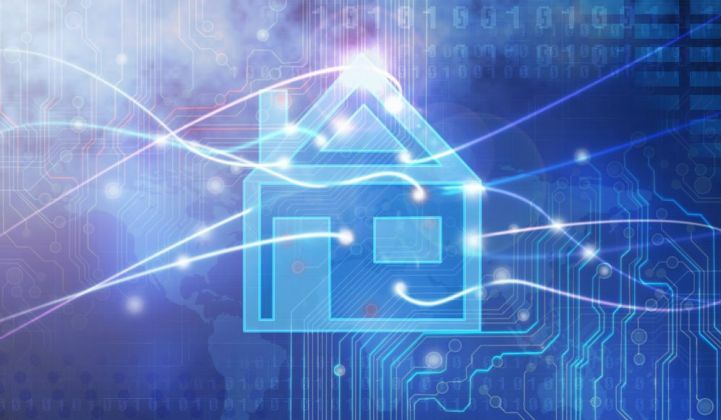 Some of Tendril's competitors are also thinking beyond the smart thermostat about how to help utilities see homes as demand-side resources that can be shaped and called upon at will. Few utilities are even incentivized to evaluate demand-side resources today as a part of long-term planning. That is changing, however. California is moving toward tightly integrating demand-side resources, and more states are asking utilities to consider demand resources instead of traditional grid investments. Tendril knows that not every utility is trying to integrate residential demand-side resources into daily operations in the near term or even the long term. Many aren’t even investing in cutting-edge demand response programs that take advantage of recent technological innovations.